March has finally arrived, with the promise of longer days, brighter weather and spring flowers. 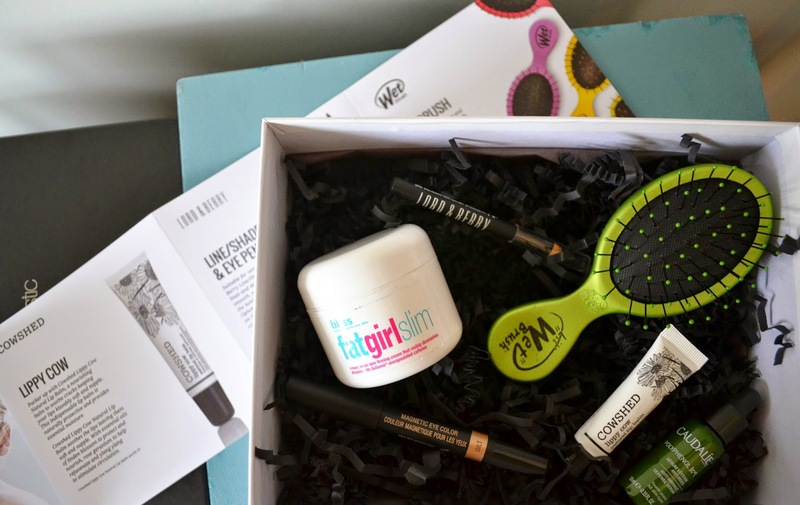 It also means the launch of the new Lookfantastic Beauty Box, yay! I got my hands on one of the first boxes fresh from the fist delivery and I am so impressed with the contents, I couldn't wait to share it with you! I've ordered a couple of Lookfantastic Beauty Boxes in the past and loved the products, but this is by far the best one. 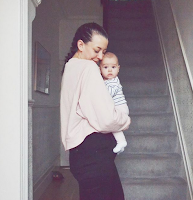 There is a really good mix of skincare, haircare and make up so there will be something for everyone. It's also incredible value, it's only £15 including delivery and is worth over £70 you can order the box here and even get it tomorrow if you choose next day delivery! So let's find out what is in the Lookfantastic March box... Look away now if you don't want to spoil the surprise! My first impressions were very good, the box was full to the brim with beauty goodies from Bliss, Wet Brush, Caudalie, Cowshed, Nudestix and Lord & Berry. They are all products I'd wanted to try or instantly wanted to use so it was an instant winner for me! I was really excited to see a mini pot of Bliss Fat Girl Slim (worth £10.40) which has been on my radar for a while now but I've never got round to ordering it. It's a circulation stimulating cream with caffeine molecules to energise your skin and boost 'lymphatic drainage', as well as working to banish pesky cellulite. I haven't had a chance to use it enough to see a difference, but it feels amazing on my skin, definitely one to try a full size version of if it works! The travel sized Wet Brush (worth £7.99) also instantly grabbed my attention, my hair has only just grown long enough to need a de-tangling brush so I haven't actually tried one before (bad blogger). I really wanted a mini brush to have in my handbag at all times so this is ideal for me, but you can also use it on wet hair, I can't wait to try this one! There is also a lucky dip Caudalie product in every box so if you order, I got the Caudalie Polyphenol Anti-Wrinkle Defense Serum (worth £11) which will be a welcome addition to my anti-ageing skincare routine. I'm 26 so anything I can do to prolong youthful skin is fine in my book! I'm looking forward to trying this out tonight. There are two make up products including in the March beauty box, one being the Nudestix eyeshadow pencil in Gilt (worth £15!) and the Lord & Berry Kajal Eye Liner Pencil (worth £10). I have a Nudestix lip pencil (which I love) so the eyeshadow pencil was a very welcome addition to my quickly growing collection, it's a gorgeous gold shade that will be perfect for summer, hurry up sunshine! I swear by Lord & Berry eye products (since I first tried them out two years ago), they are amazing with such great pigmentation and staying power. I've climbed a mountain in a blizzard with the liquid eyeliner on and it was still intact when we got home, that's pretty impressive. This mini liner has been instantly added to my handbag, ideal for touch ups on the go. 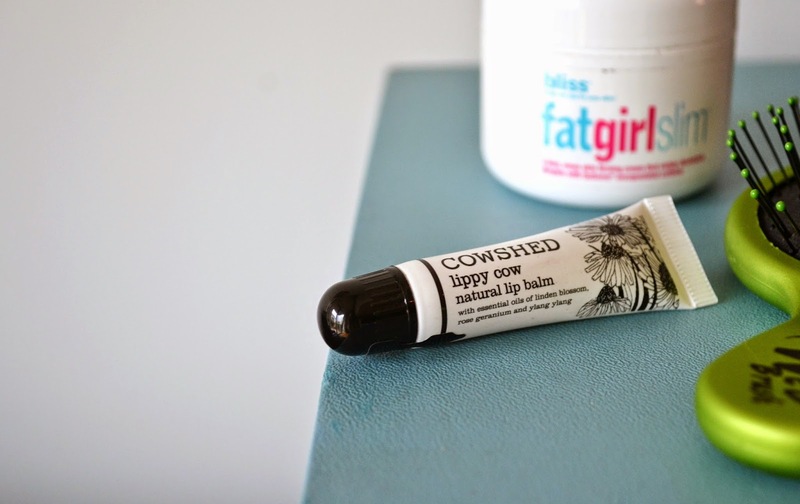 My trusty Elizabeth Arden 8-hour lip balm finally ran out last week so having Cowshed Lippy Cow natural lip balm (worth £5) in the beauty box was a life saver. This has already been added to my handbag and become a staple, it's so moisturising and is packed with essential oils. 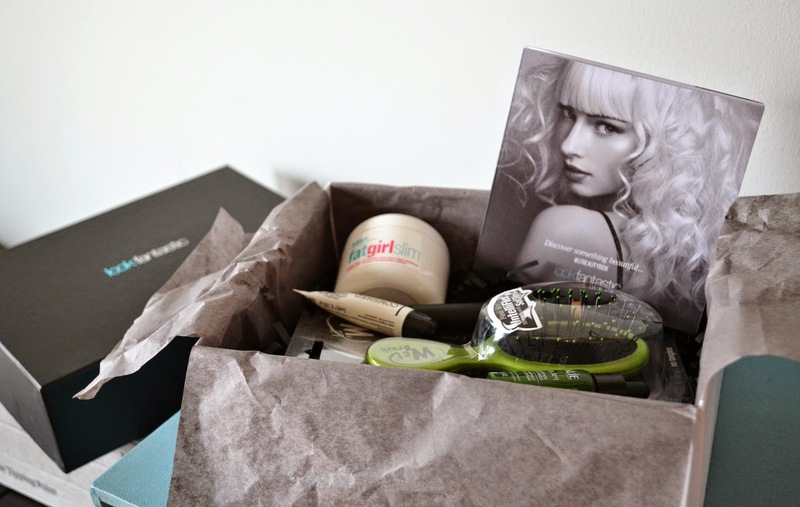 I'm sure you'll agree that it's a pretty amazing beauty box, and all for just £15, absolute dream. You can order yours here from Lookfantastic, I'd thoroughly recommend ordering one quickly as they usually sell out fast! 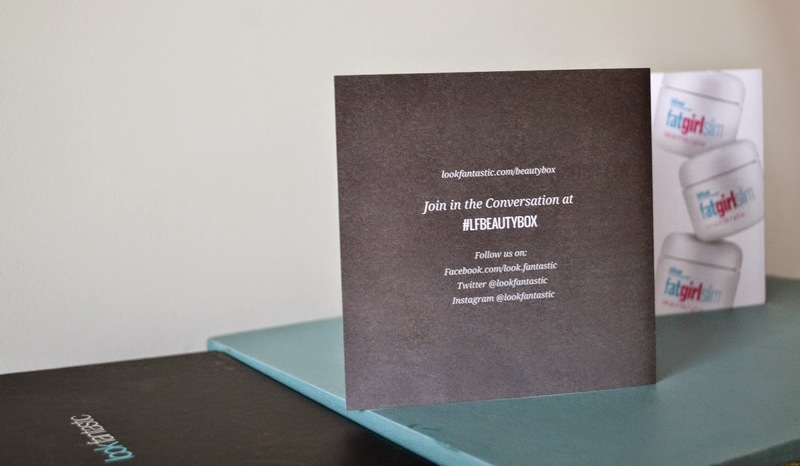 Join in the conversation with the hashtag #LFBeautyBox, it's great to follow and find out what everyone thinks! 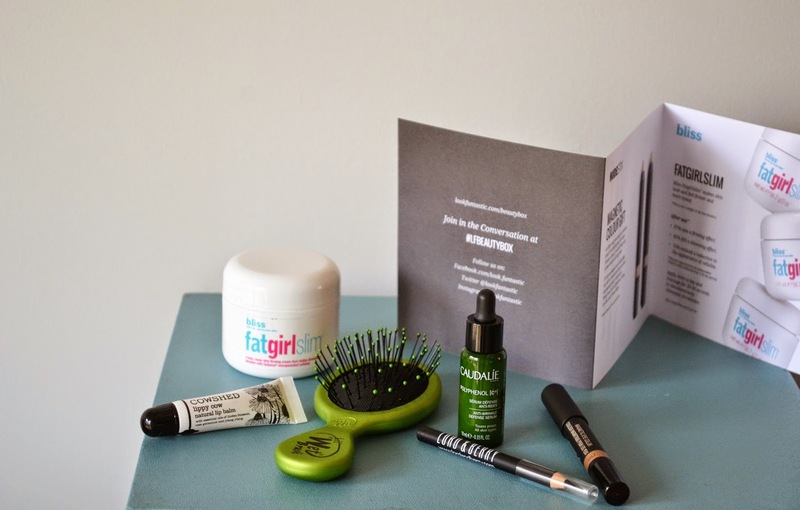 The Lookfantastic Beauty Box was provided for review but all opinions are my own. It looks like a fantastic box of goodies! 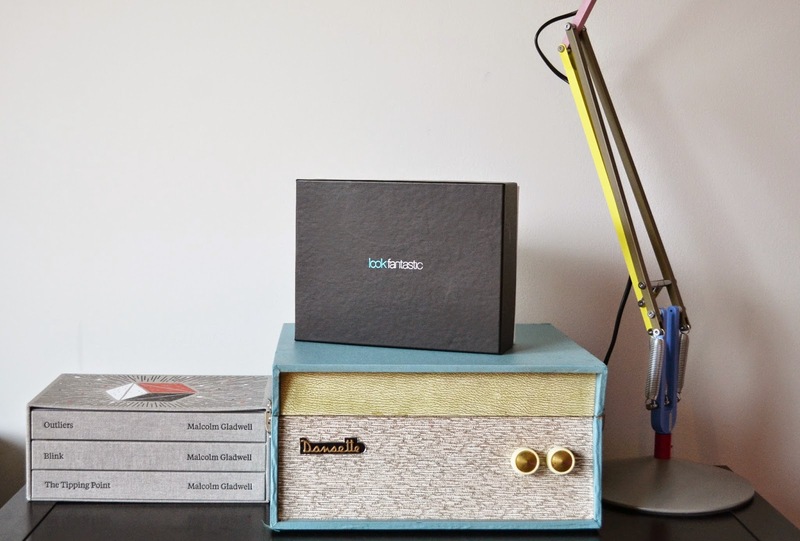 I have been tempted order to this box in the past, but I've just subbed to My Little Box (which is brilliant), so I need to think of my bank balance. That Nudestix pencil looks great. I've never heard of the brand so I might have to give them a try.